Standing with their massive cheque at the BCLC offices Wednesday, the retired Thomas’ seemed to still be in shock from their newfound fortune. There just might be horseshoes and clovers in the Port Alberni water. 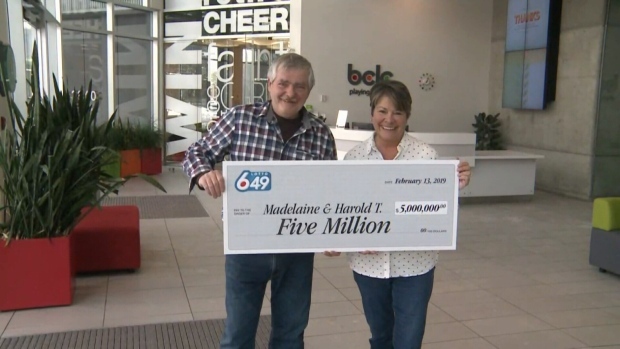 The most recent lottery winners from the island town are Harold and Madelaine Thomas, who claimed a $5-million Lotto 6/49 prize. 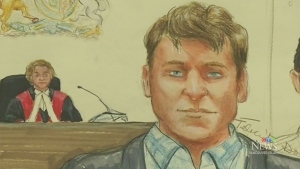 The Thomas’ big win comes just months after a Port Alberni man, John Prpich, split a massive $20-million payday with his lifelong Nanaimo friend in Nov. 2018. “When the gal put it into the machine, it seized up and flashed $5 million”, said Madelaine with a smile describing the common routine she has gone through countless times, always at the same local store. When asked how much the lotto loot will change their lives, Madelaine remained hesitant and humbled. “Hopefully not too much, we’re going to help our kids out and maybe do a little bit of stuff for ourselves, it’s too surreal still," she said.